Purchasing a security system can be a daunting and somewhat uncomfortable task. To design a system properly, you will need to allow a security professional to ask some fairly personal questions about your property, your schedule and your lifestyle. Only after disclosure of your specific needs or requirements will a real security professional survey your property. A real security system is a combination of People, Products and Process. 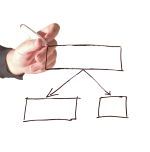 All three must be considered before you commit to work with a security company. Most security companies say they screen their employees, and while some do local background checks for pre-employment, there is no State agency that requires ANY screening for the electronic security industry in Colorado, let alone requiring national screening or any screening after employment. At Security Install Solutions, our core business is providing electronic and physical systems for protection of high security and high risk assets. Due to the nature of our business, our employees are screened for criminal activity and trustworthiness before employment and then on an ongoing basis. All of our employees have been cleared for public trust, which includes Employment Coverage, Education, Residence, Reference Contacts, Law Enforcement Checks and National Agency Checks. In addition to carefully screening and selecting our employees, Security Install Solutions invests heavily in training and education to ensure our staff are experts in the security industry. We are active members of the Electronic Security Association and ASIS International, the largest security organization in the world. Our connections through these associations uniquely positions Security Install Solutions with access to the greatest minds in the security industry. With Security Install Solutions, you know you are working with people you can trust. Security Install Solutions has been providing burglar and holdup alarms for high risk and high security applications since 2008. While there are any number of different manufacturers of alarm systems available, there is only one manufacturer that meet the most stringent requirements for National Industrial Security Systems, that is also proudly designed and manufactured in the USA. That company is Digital Monitoring Products (DMP) based in Springfield, Missouri. In 2015 DMP made an exciting announcement as they released a whole new series of products designed specifically for the commercial and residential markets. These new products from DMP allow Security Install Solutions to take our lessons learned in the protection of high risk assets, and apply them for any business or homeowner who is serious about their security, at a very affordable price. We offer alarm detection, system automation and control using products that are proven best in class, with a focus on long term service support. 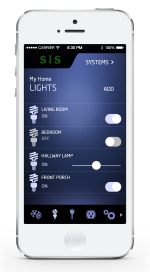 Our new line of Z-Wave devices allow for automation and control of deadbolts, garage doors, thermostats and light switches, all from our intuitive touchscreen keypads, our Virtual Keypad app for iPhone and Android, or from any web browser connected to the Internet via MyVirtualKeypad.com. 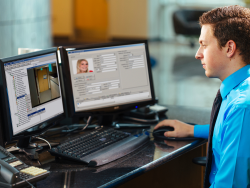 With our DMP Video solution we offer up to eight 1.3MP cameras that will record to a local NVR, but stream to your app for the ultimate in security with convenience. Need to let a repairman into your home while you are out of town? Log into your app to see them live before disarming your system and letting them in through your garage or front door. Ready for bed? Lock your front door, close your garage door, turn off the lights and arm your system, all without leaving your bedroom! Do you have multiple thermostats that you need to manage? Why not manage them all from one easy to use interface? With our state of the art cloud based applications Security Install Solutions now provides security, control and automation through our Managed Services group. With each system we sell, we offer a Service Level Agreement designed to provide the best security systems available on the market today at a price that anyone can afford. While our systems are easy to use, we understand the value of providing a managed service for convenience and peace of mind. From adding or deleting users, to changing schedules for control and automation, our Managed Services team are experts on the systems we provide and can make the changes you require with a simple phone call or email. Copyright 2018 // Security Install Solutions, Inc.